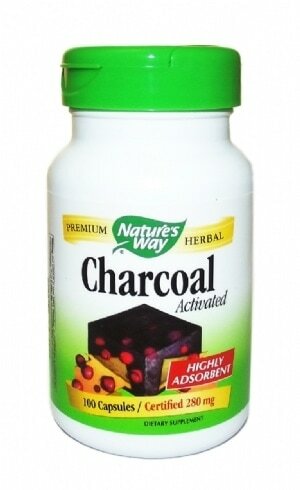 Activated charcoal is type of carbon made from wood, vegetables and other materials and looks like a fine black powder. The use of special manufacturing techniques results in highly porous charcoals that have surface areas of 300-2,000 square meters per gram. These so-called active, or activated, charcoals are widely used to absorb (or attached to it by chemical attraction) unwanted substances and toxins in the gut. Suggested Dosage: Take 2 capsules as needed or as suggested by your healthcare practitioner.